Windows 10 Start Menu Not Working? How Can You Fix This Problem? 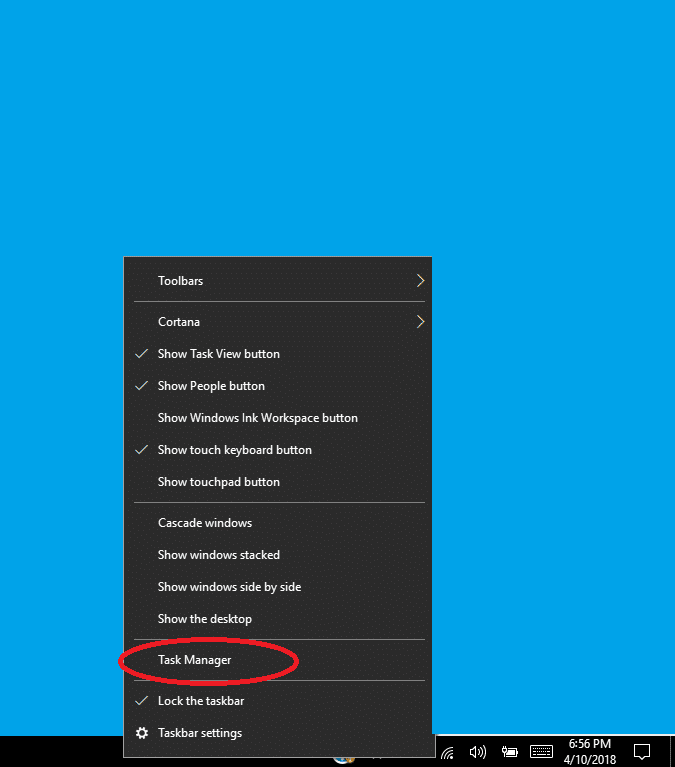 » Windows 10 Start Menu Not Working? How to Fix This Problem! 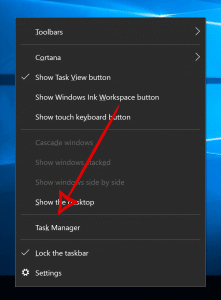 The start icon in your Windows 10 PC is seen on the bottom left corner of your display screen. Occasionally, you may click on the start icon, and nothing happens! Without the Start Menu functionality, you get stuck—unable to use the system. When the start button stops working suddenly, must use the [Windows] key to open the start menu. The methods discussed here will help resolve the issue and allow you to fix the start icon. 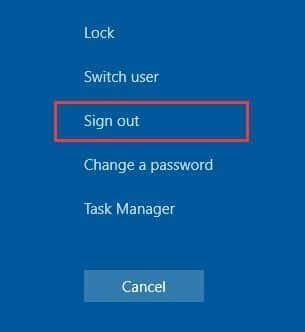 Start Menu icon can suddenly stop working after a recent upgrade to Windows 10 or if you added a new program to your system. The regular Windows updates can also trigger this issue. There are many different ways to help resolve the problem with the Start icon, but the one that works will depend on the reason the icon stopped working in the first place. The methods you should try are explained step by step to ensure you solve the issue quickly and get your system back to normal. After the system reboots, go to the Login screen box and enter your password to log in once again. Test the Start menu icon to see if it is working now. If the problem persists, you have to go to our next solution. In the PowerShell window that opens, type: ‘ net user DifferentUsername DifferentPassword /add’ where ‘DifferentUsername’ is the actual new username you want for the account, and ‘DifferentPassword’ is its password. The password is case-sensitive and must not contain a space (this is also true of the username). Now press the [Enter] key to create the new account. Restart the computer. At the login screen, login with the new username and password. The start menu should work now. 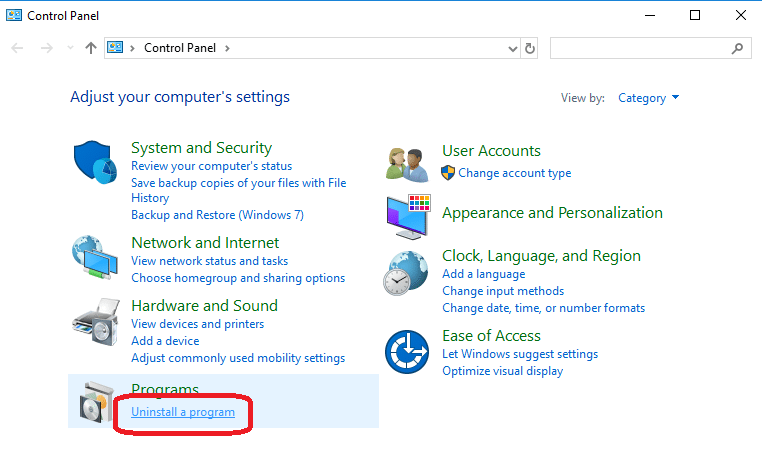 You can now switch your Microsoft account to the new account and move all your settings and files to it. Press the [Windows] key and [X] key on your keyboard simultaneously. In the window that opens, choose Device Manager. Double click on the option, ‘Sound, video and game controllers.’ Right-click on the option for the audio card driver. Choose ‘Properties’ and then click open the ‘Driver’ tab. Make a note of the driver details. Close the ‘Properties’ window and right-click again on the option for the audio card driver. This time, choose ‘Uninstall device’ from the options that are shown. You will get a notification like the one below. 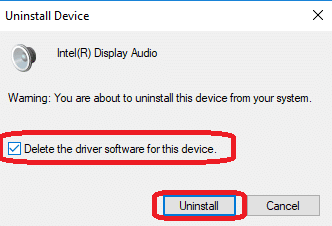 Tick the box next to Delete the driver software for this device. Click on the Uninstall button. Reboot the computer once you have uninstalled the drivers. After restarting, Windows should attempt to reinstall the drivers. If that doesn’t happen, You can visit the manufacturer’s website to find the correct driver using the information you noted in Step #2 above. 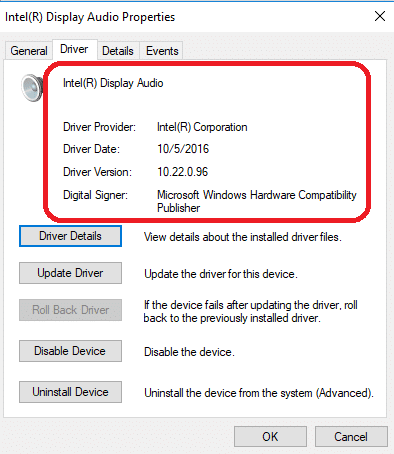 You can also use the generic audio driver provided by Windows. To do so go back to the device manager and right-click on the device. From the menu that appears, choose ‘Update driver,’ and browse your computer for software. 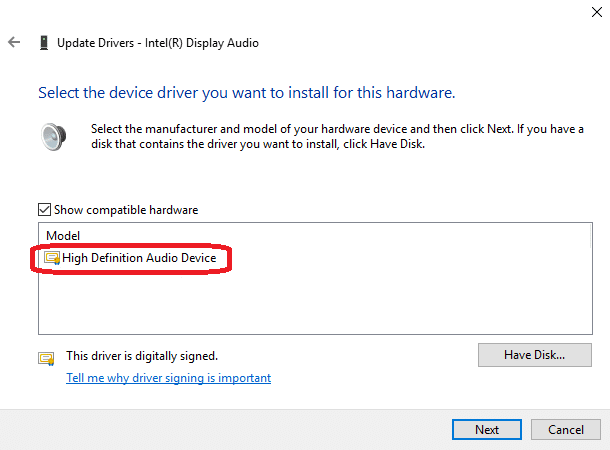 When you choose from the list of drivers, you will see ‘High Definition Audio Device’ which is Windows’ generic audio driver. Follow the onscreen instructions to install it. If you have antivirus software installed in your system like Avast, Kaspersky, etc., you can temporarily turn the software off. Sometimes conflicting antivirus software can cause problems on your device. 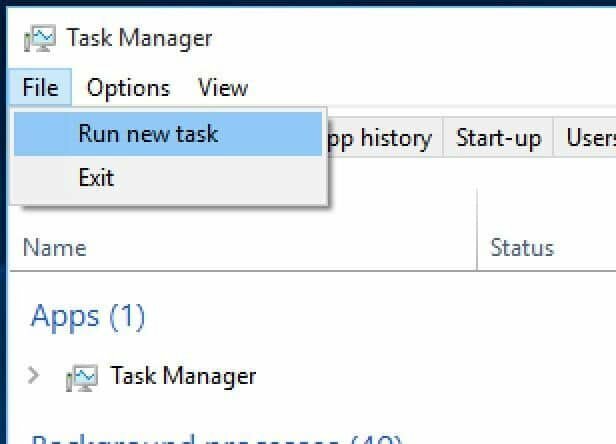 Now, look for your third-party antivirus icon on the taskbar. Different antivirus software uses different icons, but hovering over the icon with your cursor should tell you what it is. 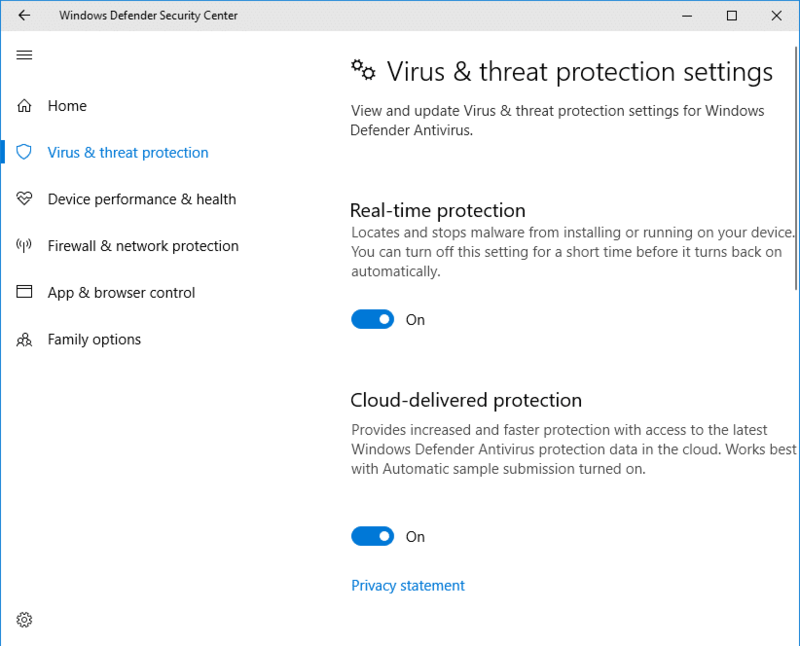 Since all antivirus software is different, you may be able to disable it simply by right-clicking on the icon and clicking to disable, stop or a similar option. In other cases, the antivirus may require you to open it by left clicking on the icon and then using the menu options to disable it. Check to see if the Start menu icon is working. If the start button works when the anti-virus is off, you have to get in touch with the software vendor to resolve the issue. 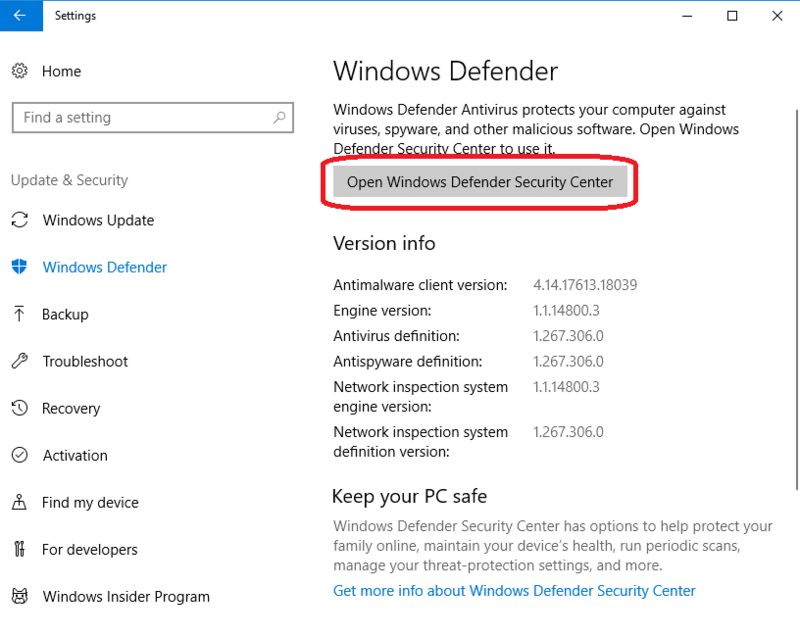 If it is still not working, restart your third-party antivirus software and return Windows Defender to its initial settings. 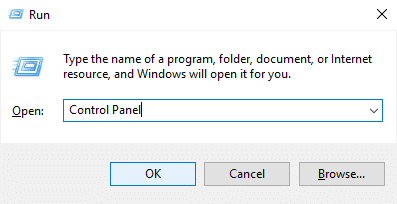 In the Control Panel window that opens, choose ‘Uninstall a program’ option under the Programs category. Find ‘Dropbox’ in the program list and click it. 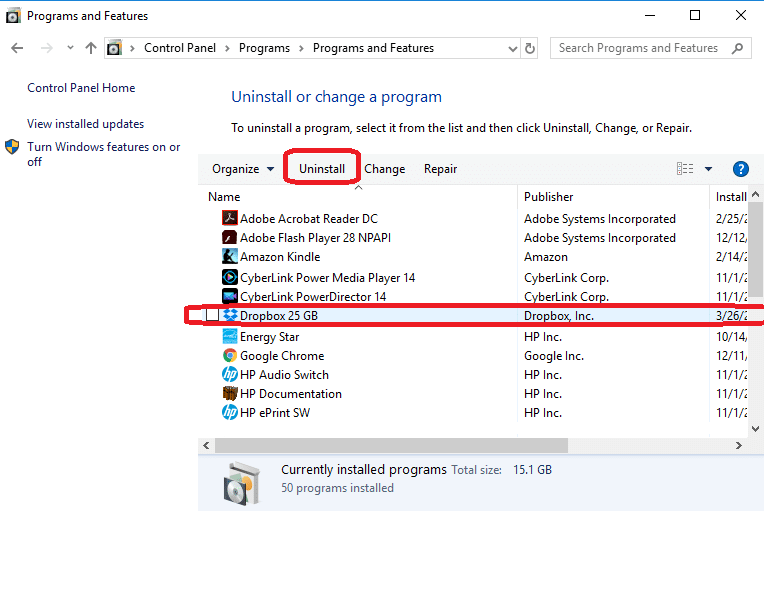 Then choose the ‘Uninstall’ command that appears. 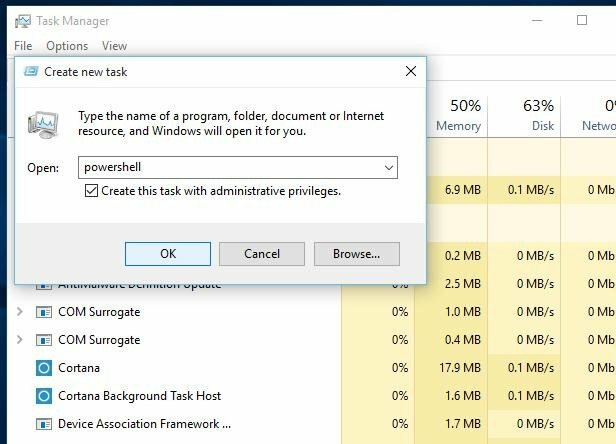 If you have corrupt files on your system, it can also trigger the start menu to stop working. You have to run two of the inbuilt system tools to correct this problem. 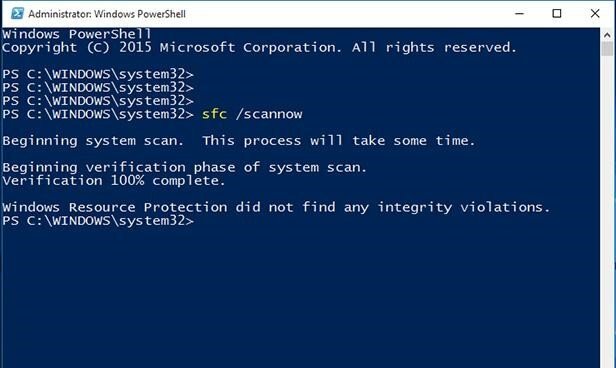 In the ’Powershell window, enter ‘sfc /scannow’ after the prompt and press [Enter]. Wait for the scan to finish. If the scan detects anything wrong, the computer will attempt to fix it. Otherwise, you will see a message telling you there were no found integrity violations. If the scan doesn’t find any violations, continue to the next step to further check for issues. 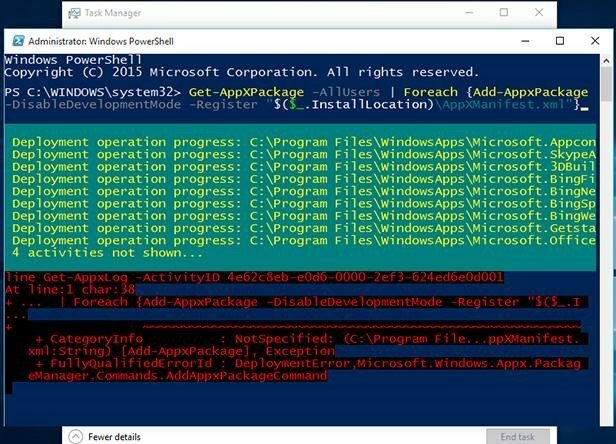 At the next Powershell prompt, copy the command below and paste it into the Powershell. Again, press [Enter] and wait for the scan to complete. After both scans are finished, check to see if the Start Icon is working. Press the [X] and [Windows] keys at the same time to open the Quick menu. 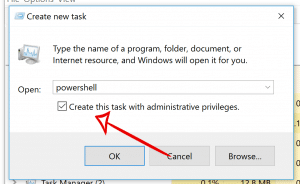 Click on ‘Windows Powershell (Admin)’ to run Powershell as an administrator. When the command finishes running, Cortana will be successfully reinstalled. The start menu functionality should be restored now. 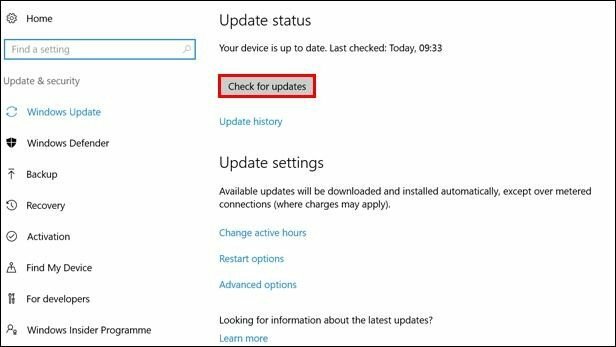 Windows updates run very frequently with at least two major updates each year. 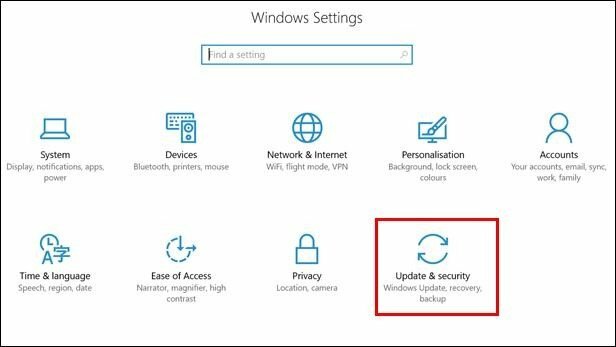 If Windows shuts down during update installation or if something else causes the update to fail, it can create problems such as the Start menu icon not working. Press the [I] and [Windows] keys at the same time to open the Windows Settings menu. Then choose the ‘Update & Security’ option. 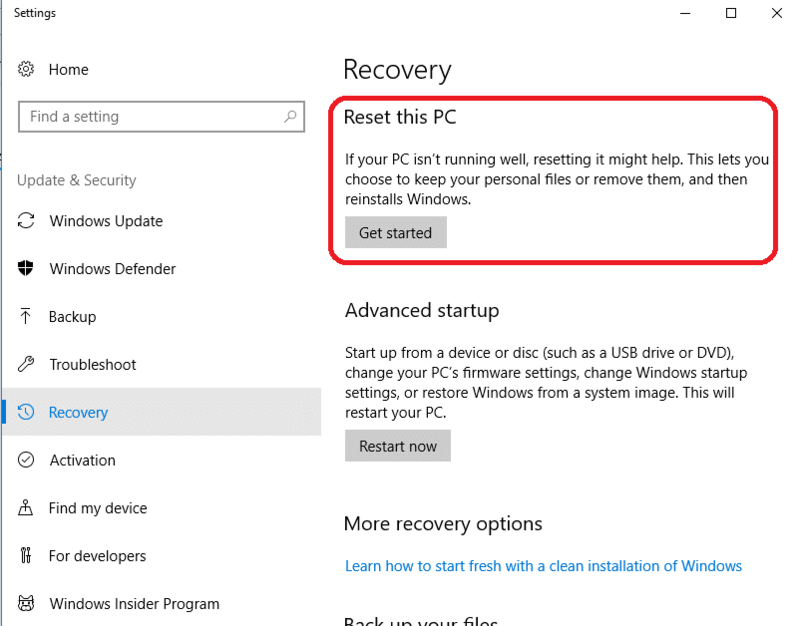 If all the above methods fail, you can try a simple but drastic method: reset the Windows 10 operating system. Make sure you backup all your vital files and programs before you do the reset. Hold down the [I] and [Windows] keys at the same time. Then choose the ‘Update & Security’ option in the Window’s Settings window. Once you choose the ‘Get Started’ option, you will see a screen that lets you choose to ‘Keep my files’ or ‘Remove everything.’ If you choose ‘Remove everything,’ all your documents and files will be deleted with the reset. After choosing an option, follow the on-screen instructions. 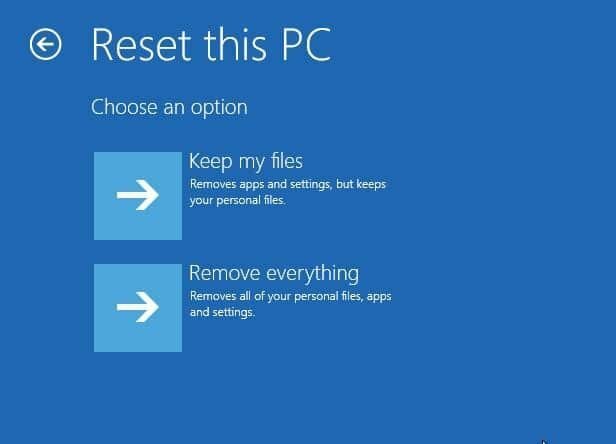 This process resets Windows 10 to its factory condition. You will also see the list of applications that the system will erase on reset. If you make a note of them, you can reinstall them later. You will have to confirm your choices before proceeding. As you can see, a broken start menu icon on your Windows 10 is not too difficult to resolve. This guide gives you plenty of methods to rectify the fault. If you are uncertain what caused the fault, you can start at the top and work your way down. The methods take only a few minutes to complete. Otherwise, you can go directly to the resolution you need. With the right solution, your system will return to its normal working condition so you can get back to working on your system without trying to find ways around the start menu icon. 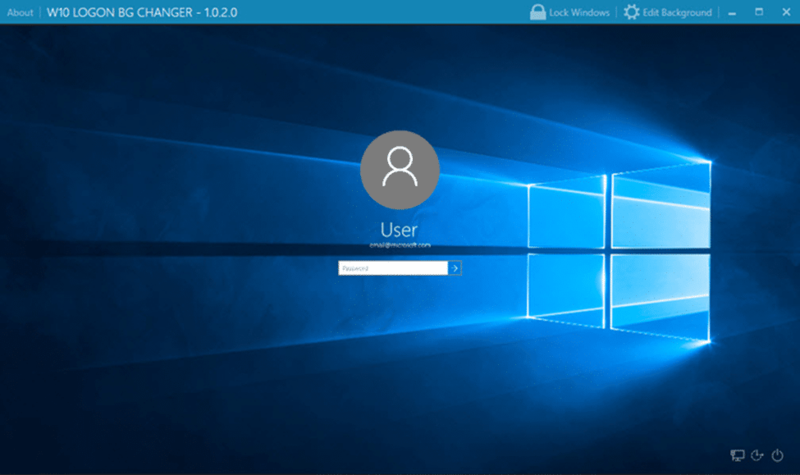 Previous Post Fixing a DPC Watchdog Violation on Windows 10 Next Post Windows Update Stuck? Here Is What You Need To Do!